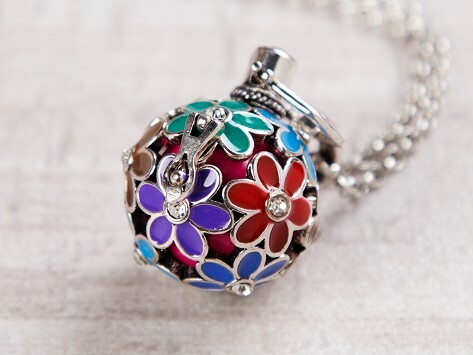 Very sweet pendant which made the perfect gift for a friend whose 21 yo son died unexpectedly. Was a gift and she loved it! I loved the story behind this product.I like that the chime balls can be changed for a different color. I bought them for my sister and niece for their birthday. I thought it would have arrived a little sooner than it did, since i am in the same state. Unfortunatlly it came after their birthday. I would have liked to have seen nicer packaging for such a special necklace. I think the plastic bag "cheapens" the product.